The older I get the more life proves to me that there are no coincidences in who we meet, when we meet, what we hear, and when we hear it. God has blessed me with so many unexpected experiences that have changed my life that I should not have been surprised when it happened again. Back in the summer I got word that India Arie would be on tour again after years of being out of the spotlight and I jumped on securing tickets. I was bummed that she wouldn’t be in DC until October but figured I had waited this long for her, what’s a couple of months? Little did I know that her arrival would be perfectly aligned to when I needed to hear her most. It wasn’t just her songs. It was her narrative throughout the concert and the quotes she displayed on the screen just above the stage. It was her energy and her realness that bought it all home for me. 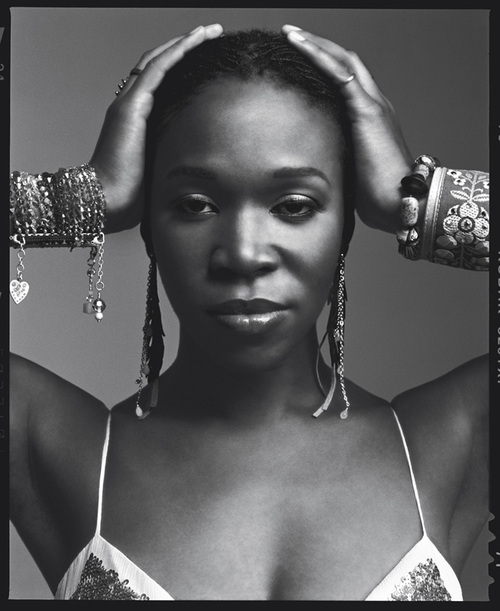 I’ve said for a long time that India Arie has written the soundtrack to my life since college. It seems like the messages in each of her albums were released at the exact time that I could most relate to them. When she was looking for love, so was I. When she was head over heels in love, so was I. When her love went south, so did mine. Although I’m highlighting the topic of “love,” it was more than that. It’s like we learned the same life lessons at the same time. We grew in the same areas of trust, exploration, self assurance, and acceptance. To sum it all up, she puts the melody to my life story. Well, her “Songversation” concert will go down in history as being the first concert to ever leave me with my spirit feeling refreshed! It’s almost hard to put into words but I’ll try. I think I’ll do it best by breaking it up into my top 3 favorite moments that gave me new perspectives on my life and how I live it. This was one of the many profound quotes that were displayed throughout the concert. As many of you know, I’m a writer. Since I was a child, I loved storytelling. I would play make believe so much that I would begin to believe it was real. Well, that’s one of the things that I’ve carried into my adulthood and aim to make a career out of one day soon. I’ve tried to be content with my job as it is and climb the corporate ladder but it’s just not me. I play the role well and have been successful but it’s so unfulfilling. I have script ideas and stories written everywhere and I know that true fulfillment will never come until I’m able to share those stories with the world. WOW! In this song she talks about her life as a single woman making moves in her career. The quote “Having a career is nice but you can’t cuddle up with that on a cold night” was displayed just before she belted out the song. It’s funny because recently, I’ve been saying, “I don’t know nothing about that life” when I would hear someone speak about being taken care of, not having to do certain chores around the house, or simply relying on another person to take up some of the slack. I’m not sure where that saying came from, but after hearing this song it made me think about what I really felt deep inside. It’s so true that you have to be honest with yourself FIRST. The #1 moment: The story of her conversation with Cicely Tyson. She introduced her song “Break the Shell” with a story of how people in the industry use to perceive her as being cold and mean. How could the artist’s reputation be so far from the uplifting music she’s shared with the world? It wasn’t until she met Cicely Tyson that she was able to put it all into perspective as to why she came across that way. She said Ms. Tyson grabbed her arm and started to tap on it. She told her “You have to break that shell and let life touch you.” Whew! That hit me right in my stomach. I was truly on sensory overload so I took out my phone and wrote that quote down to revisit later. I meditated on that thing all night until I fell off to sleep and what I’ve come to terms with is that I’ve been hardened by my experiences. I too have been told that people thought I was mean, especially in college, and that I’m stand offish. I’ve been told that I’m a little rough around the edges, anti-social and uninviting… and to be very honest I can totally see why people perceived me to be that way. It wasn’t until recently that I actually cared though. When I started to live out my life publicly through blogging, that’s when I was like “B, you got to get this together.” I think I’ve come a long way because I’m actually more conscious of it and I really do care about how I come across to people. I’m still not a people pleaser and understand that there will be some people, many people that will not like or accept you regardless of how you portray yourself and that’s fine too. I can only control me. So when I thought about my own shell I began to make a list of what I created the shell to protect me from: rejection, vulnerablility, lose of control, pain, disappointment, just to name a few. I’ve had my guard up for so long I didn’t even recognize it as being a guard. I thought I was being “me.” God didn’t create me that way. I re-invented myself to protect me from life instead of trusting God to protect me as I was. 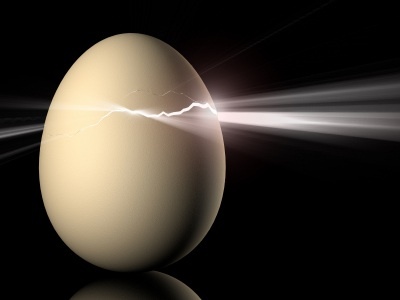 Although, I came to the revelation a while ago, India’s description of breaking the shell resonated with me. Each day I’m working on peeling away a piece of my shell so that I can boldly face what life has to offer knowing that God’s all the protection I need. It’s no small feat, I’m a piece of work…believe me!! Man, I love how God speaks to me! Happy Tuesday! I wrote down almost every quote that night! I was engrossed from top to bottom. Went away with some good thinking to do! AMAZING!